For over 20 years, we have been working with homeowners, architects, interior designers and builders with high standards and discerning taste to create custom one-of-a-kind projects. Whether we are designing kitchens, bathrooms, dens, interior fittings or other living areas in the home, we always give our clients the best solutions at the best price. Our professional expertise, quick turnaround time and superior customer service, is evident through our clients' direct referrals and repeat business. We continue to strive for excellence by completely immersing ourselves in the project from beginning to end. From the drawing board to reality with the use of innovative solutions and the highest quality materials, we guarantee a finished product that will exceed your expectations. For more information kindly e-mail us as info@nywoodwork.com or visit our website <a rel="nofollow" target="_blank" href="http://www.nywoodwork.com">http://www.nywoodwork.com</a> for more design ideas or to see our current projects. EvenFlow Interiors is a full-service interior design firm providing quality custom interiors and home renovations to the Jersey shore and surrounding communities since 2004. We combine traditional elements with eclectic details to create a cohesive, yet unique design that is not only aesthetically pleasing but functional. We are committed to design excellence while maintaining comfort and usability. From the initial consultation to the final project reveal, we work with you one-on-one to find solutions to your unique design needs. With this many years in the industry, we've learned how to meet the ever changing demands of our clients. We love our job and insist on unparalleled customer service to ensure your project is completed on-time and within your budget. Founder and Lead Designer Lisa is a hardworking jersey girl, born and raised. Her obsession with interior design was evident from the early sponge painting days of her childhood bedroom. She credits her parents for instilling solid family values and work ethic at a young age. While she lives in New Jersey with her husband , their two children and their beloved pooch Mickee, she is an avid traveler. Lisa believes traveling is key for inspiration. Her eclectic life experience, sense of adventure and community has helped shape her diverse style of professional interior design. Having honed her skills at the New York School of Interior Design, Lisa is ready to implement new ideas and execute well-planned strategies based on a strong innovate design philosophy. She has a distinct flair for one-on-one service, with a strong belief in re-purposing and re-using existing pieces that result in a familiar, family-friendly, cohesive design. Our interior design philosophy is clear and concise. We believe a home should reflect the style and personality of the people who dwell in it. Unique to itself and amazingly cozy…. like your favorite slippers. This process begins with a design consultation to discuss the scope of your job and talk about your needs. Followed by a presentation with scaled floor plans showing the room layout with wall colors, window treatments and custom furniture options. then comes the fun part, installation. Once approved, all of your custom selections are ordered, inspected and installed by our team. From consultation to completion, we work hard to bring your vision to reality, and look forward to working with you on your project! At Design Line Kitchens we ask all the right questions so that your new kitchen turns out exactly the way you imagined it. Whether you envision a kitchen that is modern or traditional, bright and inviting or elegant, loaded with features or sleek and streamlined, we can do it! 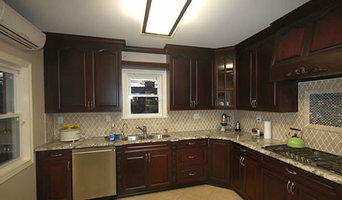 We offer our brand of custom manufactured cabinets that are built in our factory. Our professional designers work directly with homeowners and builders to find the right solutions to their needs. We also offer complete removal and installation services. Exclusive Wood-Mode and Brookhaven showroom. 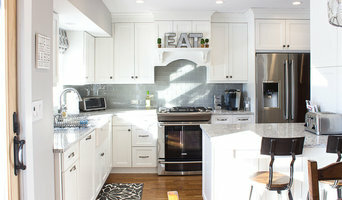 A great place for design, purchase and install of fine-cabinetry. Consisting of the latest in kitchen design trends, we can show clients everything from traditional to contemporary, to the truly unique. With our unique showroom we have the ability to show clients every option available on both the Wood-Mode and Brookhaven lines, as well as some of our own unique creations. With over 30 years of design experience, our designs can create the look that you require, while meeting each projects unique budget requirements. Come visit our showroom, we would love to meet you! NuBirch is a high-end custom cabinetry manufacturer serving residential and commercial clients throughout the tri-state area. For over 30 years NuBirch has been chosen and referred by families and professionals to re-imagine, re-design, and re-create. Our team of designers and craftspeople are dedicated to your project — be it a kitchen, master bathroom vanity or wine cellar. Our portfolio has thousands of custom home and office pieces that evidence the quality of our workmanship and attention to detail. Have an upcoming project? We'd love to collaborate with you! Get in touch with us to discuss rates, scheduling, or just to say hi. Serving commercial, residential and hospitality industries since 2005. We offer the largest selection of Aluminum Frames on the market! With a generous selection of anodized aluminum finishes, and a wide selection of inserts, the doors are custom made to desired dimensions and specifications. Average fabrication/production time is only 1-2 weeks! Interior design products for Kitchens, Bathrooms, living & dining rooms, etc. The possibilities are endless. We offer special trade discounts for Furniture Manufacturers, Architects, Designers and volume orders. We offer very high quality products on the market at very competitive prices. Visit our showroom at: 300-2 RT 17 S., Unit C LODI, NJ 07644 Check us out on Instagram, Twitter, Pinterest, and Facebook! Based on the South Shore of Long Island, Oceanside Cabinetry Corp provides premium quality cabinetry solutions to homeowners and contractors. From detailed floor plans to custom designed cabinets, our experts will help you create your dream kitchen. With the help of our high end cabinetry manufacturers, our experienced designers will work with you and your contractor from conception to completion. 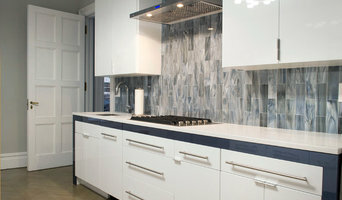 Vanity Fair Baths is a kitchen and bath showroom that specializes in both glass and custom cabinetry and design. Vanity Fair Baths offers a variety of creative design concepts to meet the individualized specifications for a home or business that is essential to our customer’s satisfaction. Finely made vanities and furniture are designed in-house at Vanity Fair Baths. Natural wood and hand painted finishes are made to match your tile and decor. Vanity Fair Baths also offers a variety of stock cabinets and shower doors, because not every bathroom in a home has high-end custom work. Come and view the many options to choose from in our showroom at Vanity Fair Baths, where you could sit and visualize with our designers who will help you realize your dream kitchen or bath. Vanity Fair Baths works with the general public, contractors, interior designers, granite yards and tile stores to go along with our competent team who will focus on the completion of your project. Vanity Fair Baths specializes in both concept and design. From your first visit to our designer showroom at Vanity Fair Baths, we will guide you through every step of the way from concept to completion. Our design professionals at Vanity Fair Baths will help you realize the vision that you may have only imagined. Vanity Fair Bath's service is applicable to any custom work order. Come and visit our new, beautiful, unique showroom, Vanity Fair Baths, located at 215 Voice Rd in Carle Place. As one customer said, “There is no other place quite like it." We welcome you to browse and shop through the showroom or make an appointment to discuss a custom project. We are here to help you! Craig Allen Designs is run by Craig Teitsma who is a third-generation carpenter/remodeler who has put down his hammer and picked up kitchen and bathroom cabinetry design and sales. After working with my father from a young age doing everything from building homes, to building cabinets, to hanging crown moulding, I decided to go to design school to follow a passion I have for designing and supplying kitchen, bath, and home cabinetry. We use premium handmade products, cabinetry and back all our services with comprehensive warranties. Our clients' needs and satisfaction are our number one priority! We know that a quality job does not happen by accident. Each of our jobs is supervised by a Sterling partner at all times. Our crew of craftsmen are experts in their trade. As a family owned and operated business, we pride ourselves in establishing and maintaining long term relationships with our clients to handle all of their home improvement, repair, and maintenance requirements. We are a general contracting firm, specializing in home remodeling and custom home construction. Attention to detail and the high quality of work invested in each and every job makes Sterling a great choice for your next home improvement project! At Sterling our mission is to combine an outstanding product with equally outstanding service, giving you a truly unique construction experience. As third generation builders, craftsmanship is part of our heritage. Since our earliest days, construction has been and remains a driving force in our lives. If you want to upgrade your kitchen without significantly reducing your bank account, consider refacing your kitchen cabinets. A budget-friendly option with huge impact, cabinet refacing costs about half as much as replacing your cabinetry, takes a lot less time and money, and allows you to still use your kitchen while the refacing is underway. Browse East Meadow, NY cabinet refacing professionals on Houzz and find someone who can transform your kitchen with just one quick project. Cabinet refacing professionals in East Meadow, NY have the power to create a practical yet personalized space just by refacing your cabinets. When it comes to the finished look, your options are endless — veneers and door/drawer fronts come in a variety of colors, textures, patterns and more, allowing you to mix and match choices to get your desired look. New hinges, drawer pulls and knobs complete your cabinet makeover and add crucial details. Create an ideabook on Houzz and save examples of the cabinets you want — this will help your East Meadow cabinet refacing contractor get on board with your vision and make your design a reality.